Headlamp bulb twin filament 12 volt 32-50w. 12v Bulb for the Tail, lamp, or the dash. 12 volt 5w. Single filament bulb. 12v small head bulb for the tail lamp. A little brighter bulb than the original 5w version. 12v twin fillament 21w/5w bulb, ideal for use as stop and tail light bulb. 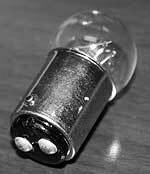 Stop light bulb 12volt 21w. 2 Volt 21w/5w Stop and tail bulb. 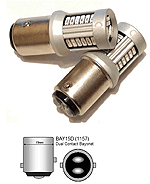 Quartz Headlamp bulbs 12 volt. Replacement quartz bulbs for your headlights if you have converted them over to accept quartz bulbs. Stop lamp 50 watt 12 volt. These bulbs are also known as "UGLY BULBS". 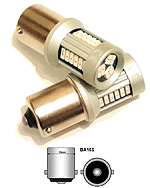 They are a direct replacement for the original bulbs except they put off much more light.